The pool, in a skyscraper valley, and community room provide great party venues. I have sold several residences to individual who love being able to walk to work and great restaurants. Belo Park has replaced the parking lot to the west. Bring your dogs. 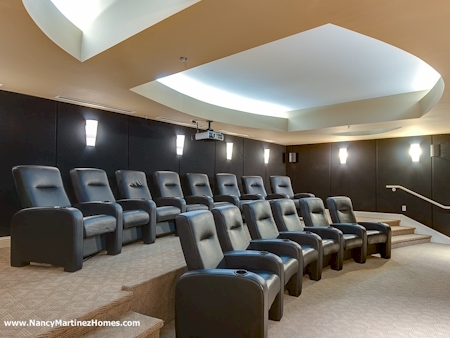 Private Clubroom and Surround Sound Theater Room, gas included in HOA, conference center with Wi-Fi capability. ° Additional Info: HOA dues are $460 monthly, 1 covered parking space(s), Dallas ISD. 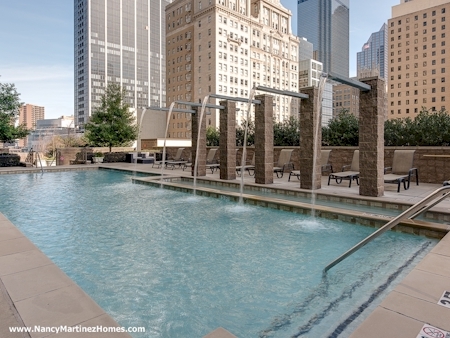 ° Luxury living in wonderful downtown with penthouse views. Unit was finished out in 2013. Unit has hardwood floors,washer-dyer,refrigerator, gas stove and granite counter tops and one assigned parking space. 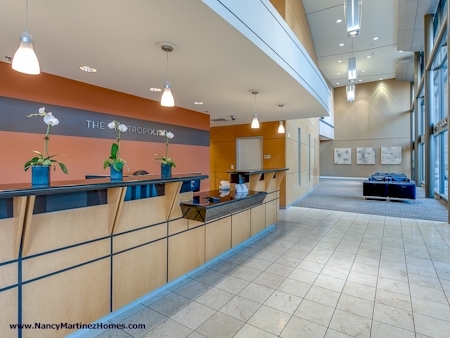 The Metropolitan offers 24 hour concierge, Business center, Theater media room. 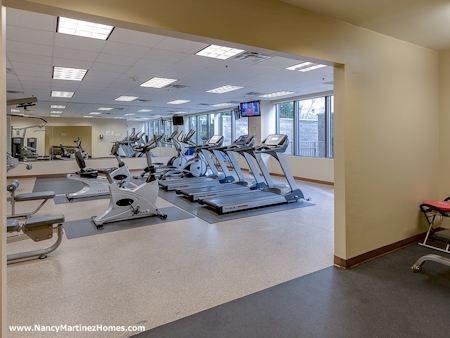 Common areas include grilling area, pool,fitness center. ° Additional Info: HOA dues are $420 monthly, 1 covered parking space(s), Dallas ISD. 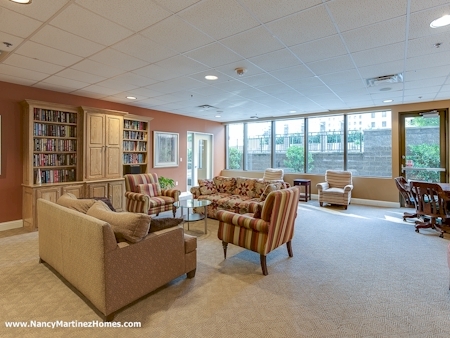 ° Beautifully updated condo at The Metropolitan, located on on the 23rd floor. Gorgeous East views from all rooms. Updates, stainless appliances in the kitchen, black granite counters in kitchen and stone vanities in baths. Both baths updated, seamless shower glass, travertine floors, high-end fixtures. Washer and Dryer combo unit included. Amenities includes swimming pool and grill area, community room with kitchen, board room, theater room and guest suite. Assigned parking space #314. ° Additional Info: HOA dues are $600 monthly, 1 covered parking space(s), Dallas ISD. ° BEAUTIFUL, FRESHLY PAINTED CONDO UNIT IN A HIGH RISE BUILDING WITH AN AWESOME VIEW OF THE PARK. 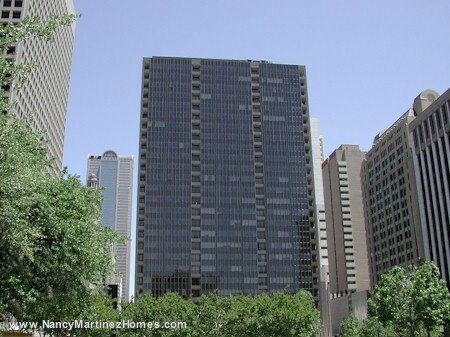 CONVENIENTLY LOCATED ON MAIN STREET IN THE PRIME LOCATION OF DOWN TOWN DALLAS. CLOSE TO FREEWAYS, RESTAURANTS, ATTRACTIONS AND PARK. VERY NICE FLOOR PLAN WITH 1 BEDROOM, A STUDY, 2 BATHS, KITCHEN, UTILITY ROOM AND EASY ACCESS TO GYM, ENTERTAINMENT CENTER AND INSIDE POOL. FULL USE OF POOL, PRIVATE OFFICE AREA AND ENTERTAINMENT CENTER. 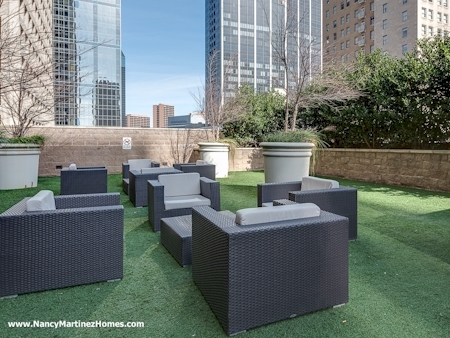 THIS UNIT PRICE INCLUDES ONE PARKING GARAGE AND A STORAGE UNIT. REFRIGERATOR, WASHER AND DRYER ARE ALSO INCLUDED IN SALES PRICE. READY TO MOVE IN. PARKING GARAGE SPACE 354. STORAGE UNIT SPACE 2515S. ° Additional Info: HOA dues are $539 monthly, 1 covered parking space(s), Dallas ISD. ° Welcome to the sophisticated Metropolitan! This gorgeous unit has a great floorplan with split bedrooms and a separate study which makes a great flex space. Updated with wood floors and flawless paint palate it is move in ready! 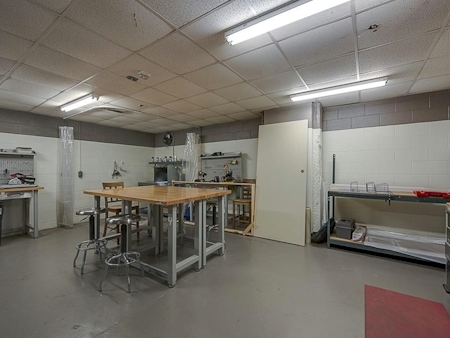 Lots of storage, walk in utility, 2 parking and one on 4th floor so you literally walk down the hall. Commons pool, office suite, party room, gym, movie theater, secured entrance, 24 hr concierge. Wonderful location next to Belo park and walk anywhere!!! ° Additional Info: HOA dues are $650 monthly, 2 covered parking space(s), Dallas ISD. ° Additional Info: HOA dues are $675 monthly, 2 covered parking space(s), Dallas ISD. The following units are listed for lease in The Metropolitan as of April 13, 2019. ** Note that landlords may have more restrictive limits on pets than indicated above. 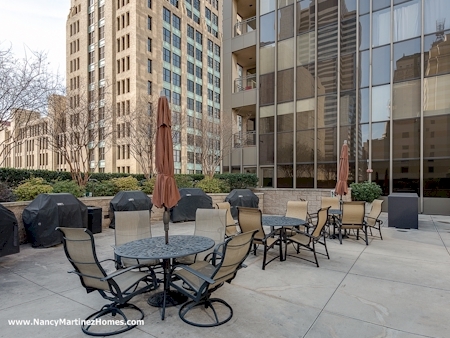 ° Beautiful 1 Bed, 1 Bath, + STUDY condo located in the heart of downtown. Condo has modern upgrades, details & open floor plan. Hardwood floors, granite counters, stainless steel appliances with gas stove, recessed & decorative lighting and breakfast bar. Washer, dryer, and refrigerator included. 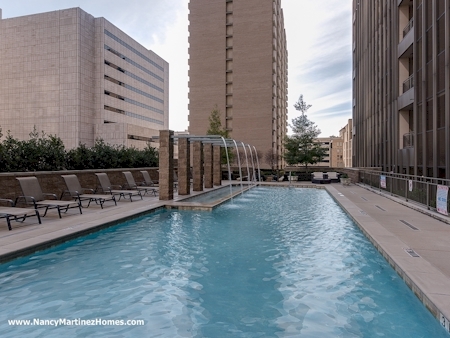 The Metropolitan offers 24 hour concierge, spectacular rooftop pool with multiple grilling options, fitness center, theater room, Business Center, bike storage areas and a workshop space complete with tools for those weekend projects. ° Additional Info: Pets allowed limit 2, unfurnished, W/D connections incl., 1 covered parking space(s), Dallas ISD. ° Additional Info: Pets allowed limit 1, unfurnished, available now, 1 covered parking space(s), Dallas ISD. ° This 2 bedroom Penthouse suite has a stunning westerly view of the area! High end finish out to compliment the Penthouse location! Stainless steel appliances and hardwood floors throughout make this one a must see! Baths feature granite counters and travertine tile. Amenities include 24 hour concierge, resort style pool, fitness center and theater on the 6th floor. ° Additional Info: Pets allowed limit 1, unfurnished, W/D connections incl., available 5/1, 2 covered parking space(s), Dallas ISD. For a list of condos, townhomes, and single family homes for rent nearby, click here.